One of the people I had a pleasure to meet on Sunday was Swedish pop singer Robyn who was nominated in the Best Dance/Electronic category for her album "Robyn." The category was part of the pre-televised show on Sunday afternoon that features a total of 100 GRAMMY categories that are not featured on the televised show. I was sitting in the audience Twittering for GRAMMY.com when I saw Robyn walk in an hour into the show. She got seated two rows behind me with a small entourage. When her category was up and the GRAMMY was won by Daft Punk for "Alive 2007," I turned around introduced myself and asked if she was disappointed. She smiled and whispered, "It is okay. I still made the best album." 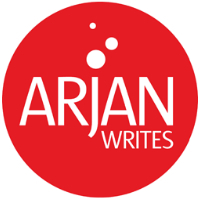 Arjan: Congratulations on your nomination! Where were you when you first received the GRAMMY nomination news? What went through your mind? Robyn I got a text from Martin Kierszenbaum who signed me in the US. The first thing I thought was can Swedish people be nominated for an American Grammy? It was so unexpected. And then wow, I´m so happy that an album I made without any compromises makes sense to other people as well. How are you preparing for the ceremony? What are you wearing on the Red Carpet? There are so many dresses to wear and only one night. Don´t know yet! It´s difficult to be a pop star. Are you going to be majorly disappointed if you don't win, or really surprised if you win? Everybody will be at the event on Sunday. Is there anybody in particular you looking forward to meeting? Max Martin, we see each other in Sweden, but not too often so it´s going to be nice to hang out at the Grammy´s together. Is there a GRAMMY performance you're looking forward to? Looking forward to see M.I.A, Lil Wayne, Radiohead, Smokey Robinson. But all performances are going to be interesting to see, I think it´s an event where everyone really tries their hardest to please the audience. What is happening after the GRAMMYs for you? What are your immediate plans? I´m doing a small tour in Germany in the end of the month and that is going to be super, but the most important thing for me this year is to be back in Sweden and make my new album. Klas Åhlund and I, who I made "Robyn" with, are going to the Grammy´s together. It´s a perfect ending to this album and great beginning for the new one. Hey Arjan - great little chat with Robyn. She looked amazing. So looking forward to new Robyn material and pleased she got recognized for such an amazing album. Wow! You weren't kidding, she did look amazing! Cute! !